Arsenal celebrated Arsene Wenger’s 20 years in charge at the club with a stoppage-time winner from Laurent Koscielny. 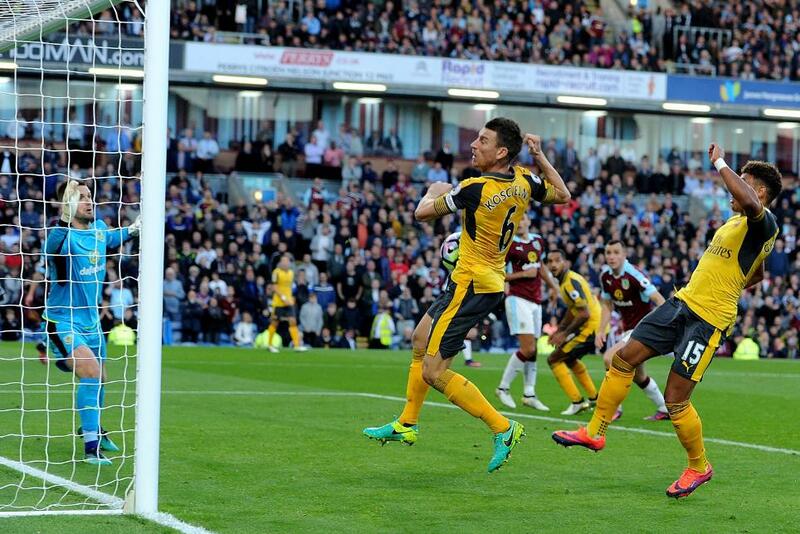 The match against Burnley at Turf Moor was heading towards a stalemate when a corner was knocked down by Theo Walcott and Koscielny bundled the ball home. Sam Vokes had the best chance of the first half for Burnley but headed wide when unmarked. Arsenal were brighter in the second half with Alexis Sanchez their main threat. He had a shot saved by Tom Heaton and fired a volley narrowly wide of the post. Burnley had chances too, with Petr Cech saving a Johann Berg Gudmundsson header and Michael Keane hitting the Arsenal bar. Arsenal laid siege to the Burnley goal in the last minutes and their persistence paid off with a fifth win in a row and a return to third in the table.